One in three adults in England is on the brink of developing diabetes, according to new research. Borderline diabetes - or pre-diabetes - occurs when an individual has higher than normal blood glucose levels. Researchers analysed data from the Health Survey for England for the years 2003, 2006, 2009 and 2011. The study involved thousands of people, and the experts said results highlighted a 'worrying' trend. They found that prevalence of pre-diabetes in England has tripled in the space of eight years, with those from poorer backgrounds most at risk. This "extremely rapid rise" has led to a fresh warning that it is likely to result in a steep increase in the number of people with actual diabetes in the not-so-distant future unless something is done to curb the worrying trend. The researchers categorised someone as having pre-diabetes if their glycated haemoglobin was between 5.7% and 6.4% and they had not previously been diagnosed with diabetes. Glycated haemoglobin is a measure of blood glucose control. 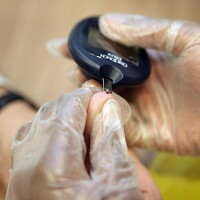 Barbara Young, chief executive of Diabetes UK, claims the findings have important implications on the NHS Health Check and other public health interventions. She is therefore calling for those on the brink of diabetes to be made aware of the seriousness of the condition so they can get the advice and support they need to reduce their chances of becoming properly diabetic. Diabetes affects more than three million people in the UK and can lead to a number of serious health complications, such as heart disease, stroke, amputation and blindness in the most extreme cases. But just because you have diabetes it doesn't mean you have to stop enjoying the finer things in life. Pre-existing medical travel insurance can give you the peace of mind you need to kick back and relax on holiday.